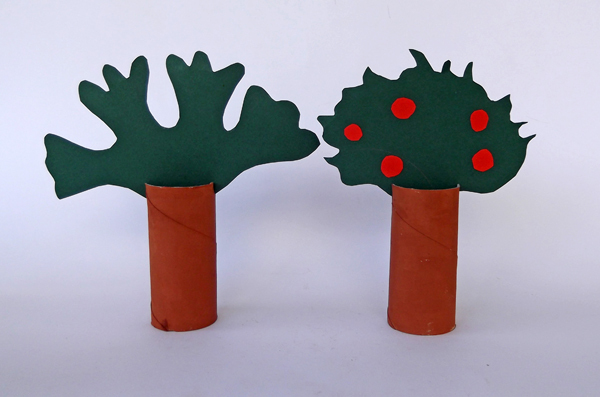 Make trees from toilet paper rolls, while learning more about fruit trees and experimenting with the shape of the foliage. The kids are encouraged to look around for trees and observe the different types and shapes of their foliage. One or more toilet paper rolls. 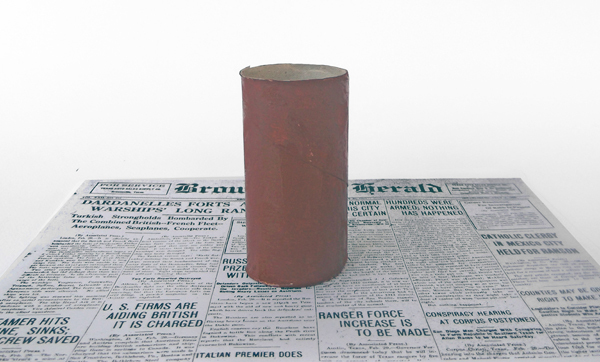 For each tree you need one roll. 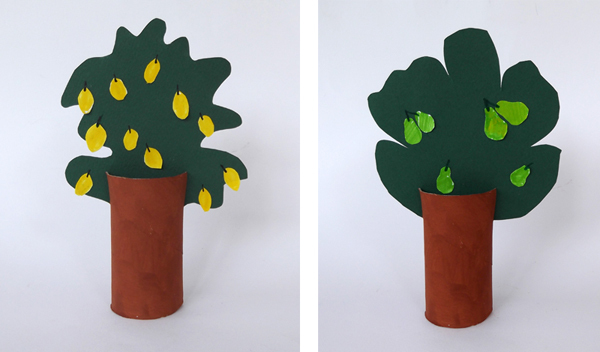 Colored paper (canson paper): Green for the foliage and other colors for the fruits. Watercolors or tempera colors suitable for kids, to paint the trunk of the tree. 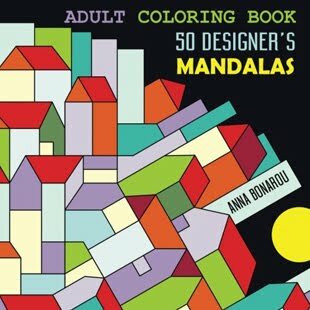 Coloring markers to draw fruits. 1. Before start thinking about the foliage, you might want to paint the trunk of the tree brown. 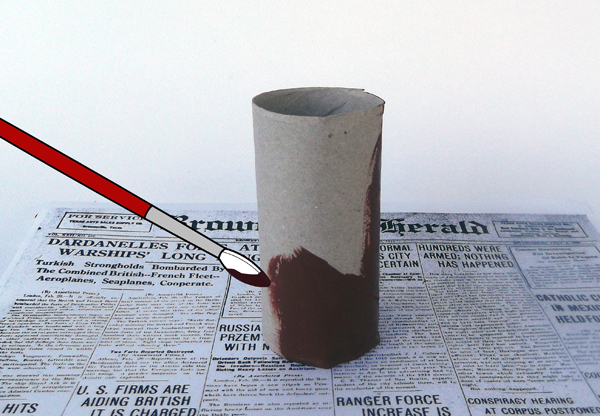 Use watercolor paints and a brush and make sure that you protect the working surface with newspaper sheets or a plastic membrane. 3. 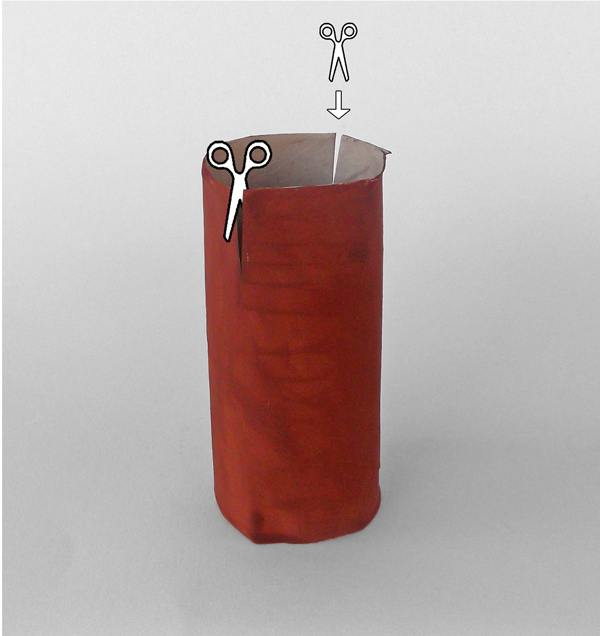 With scissors cut two small slits on one end of the toilet paper roll. Make one slit across the other. 4. The trunk of the tree is ready. 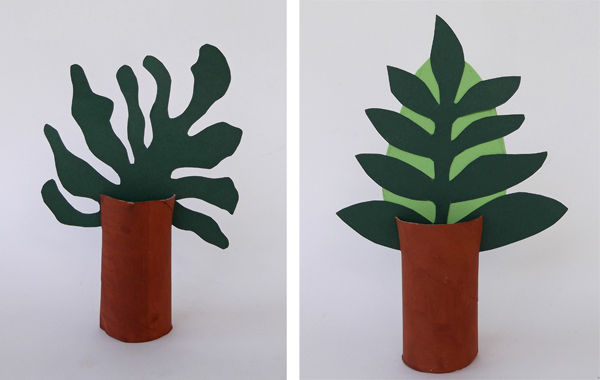 Start making the foliage. 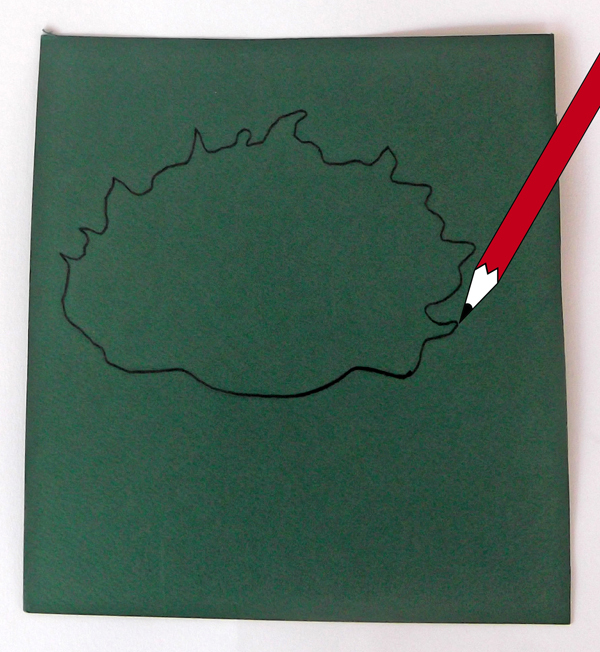 Take a piece of green colored paper and draw with a pencil the outline of a tree foliage. 6. The foliage is ready. 7. Add some fruits, for example some red apples. 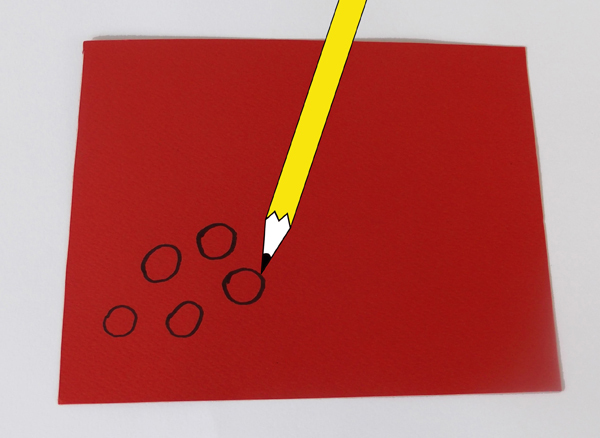 Take a piece of red paper and draw with the pencil some small cirlces. 8. Cut with scissors the apples and glue them onto the foliage. 9. The tree top is ready. Slide the tree top into the slits on the toilet paper roll. 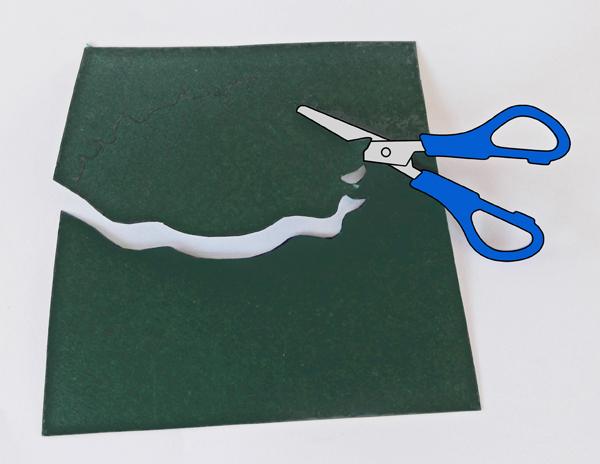 There is no need to use glue. Experiment! How many fruit trees do you know? In nature there are many fruits trees, like orange trees, apple trees, lemon trees, peache trees etc. Think about the colors and shapes of their fruits. Could you make other type of fruit trees? 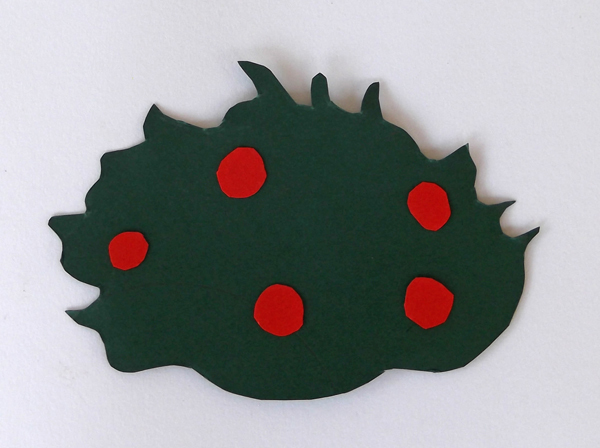 You can draw the fruits on a white piece of paper and then cut and glue them onto the tree top. 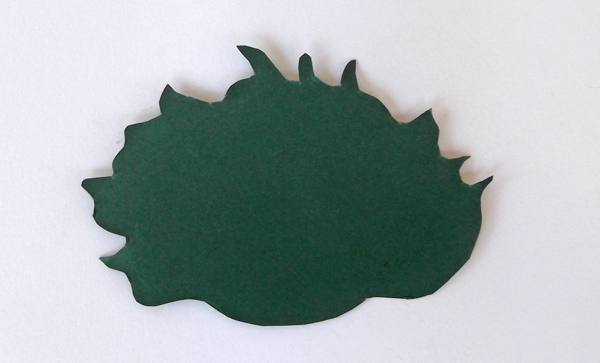 Experiment with the shape of the foliage! 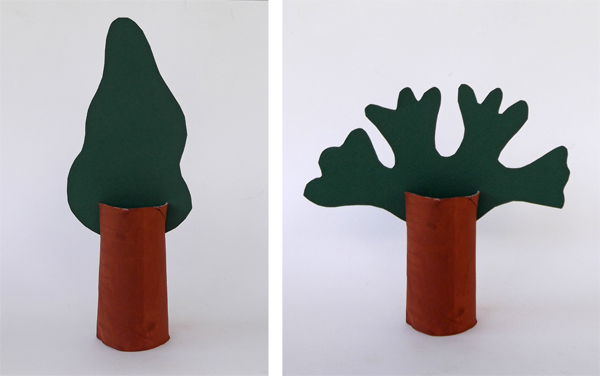 Search around for trees and observe how different is the shape of their foliage. There are trees that look like umbrellas, others that have more round shape and others that are tall and slim. 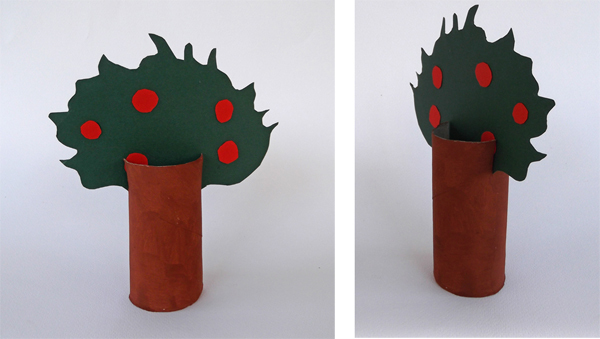 Try to recreate with paper, several foliage shapes, even imaginative ones.